The house was empty other than the pets, myself and about 12 bricks of RAPA scrapple in the fridge. I was hungry so obviously scrapple was going to be part of my immediate plans. But just a few slices seemed kind of...boring. 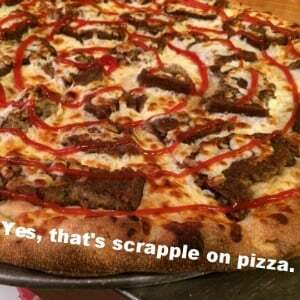 That amazing image is created by the fellow scrapple lovers over at ScrappleRocks. 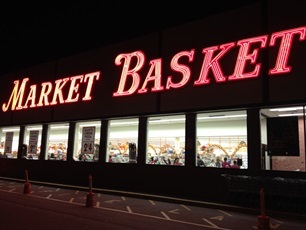 They've put together an album of songs dedicated to the mystery meat we all love. 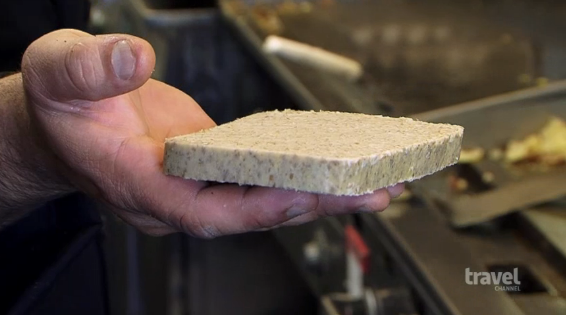 To the uninitiated, scrapple sounds gross: "Do you know what's in there? No way I'm eating that!" It's hard to really blame them. 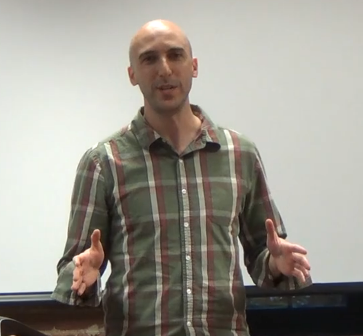 But I've found if people understand the full history of scrapple and why it was initially created -- we've got all these left over pig parts and we need to feed our family -- people are a little bit more open to listening and trying. You've cut up your pig. You've sliced up your ham and bacon and tenderloin and whatever other pieces of hog you want to enjoy. That's when the scrapple making begins! Take your pork "scraps" -- yeah, the liver and fat, but maybe even some hearts and snouts -- and boil them. When it's nice and tender, you take out the pork and chop it up. Meanwhile, you've got this pork stock left behind; add something like flour or cornmeal to thicken it up. Stir the meat back in, cool and shape it in a loaf pan and BAM that's how scrapple is made! 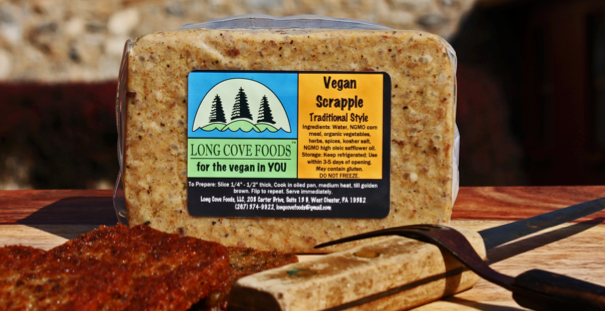 Scrapple is delicious, and gosh darn it, it's practical! 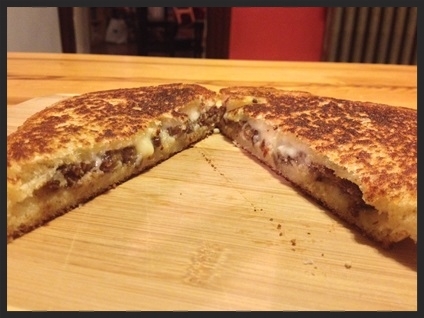 We'll never stop making scrapple the way we all know and love. 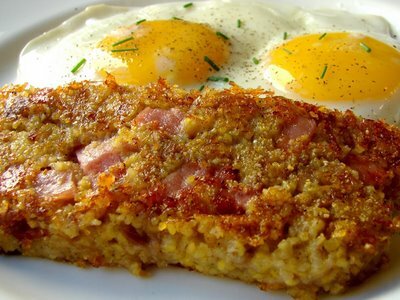 Still, it never hurts to have some fun with a classic dish, which is exactly what Chef John Mitzewich has done with his "Modern Scrapple" recipe. 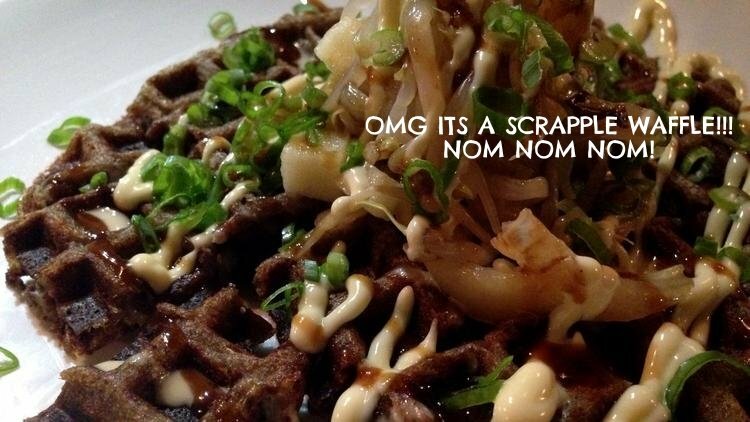 "Wait, modern scrapple? What the heck are you trying to pull here?" I know, I know. But listen: it's a fun change, and it doesn't hurt that Chef John's final creation sure does look delicious.